Our Virginia bluebells (Mertensia virginica) are at their peak this week! 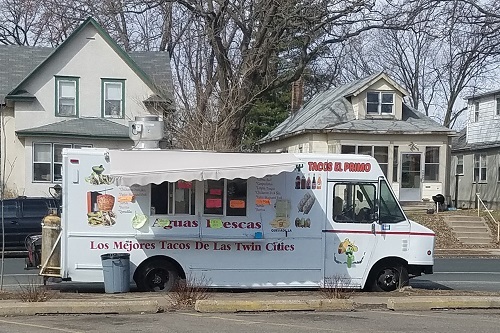 I went out to see them yesterday, and I thought I'd send along some photos. It was lovely to be out there with all my peeps :). I also saw other wildflowers, including trilliums, Dutchman's breeches, trout lilies, toothwort, and spring beauties. These photos are from Riverbend Park in Fairfax County, VA. The water you see is the Potomac River. A couple more bluebell photos below. 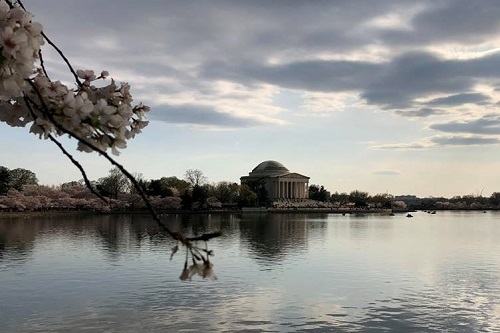 Good Morning Morons; today is Saturday, April 13, 2019 On this day in 1943 the Jefferson Memorial was dedicated in Washington, D.C., on the 200th anniversary of President Thomas Jefferson's birth. It just so happens that I had a photo of the Jefferson Memorial on hand, from the recent visit of my niece and her crew to D.C. Apparently there is a biofilm growing on the memorial that is tough to remove. Baffles scientists. 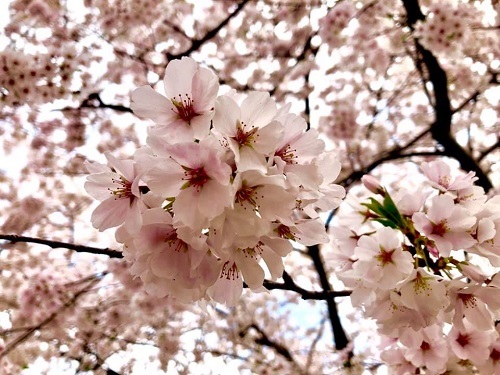 The removal of some of the cherry trees from the tidal basin in order to build the memorial was controversial. There were intransigent protesters and such. 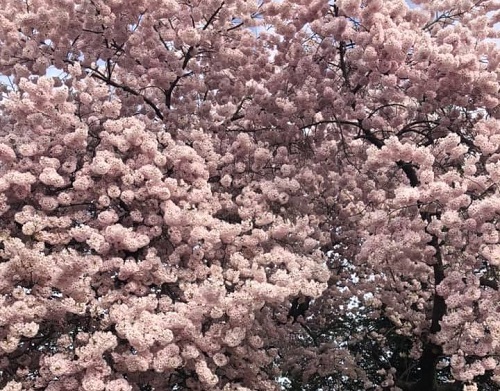 There are still a lot of cherry trees left, though. A couple of photos. What's this I hear about some kind of cyclone? 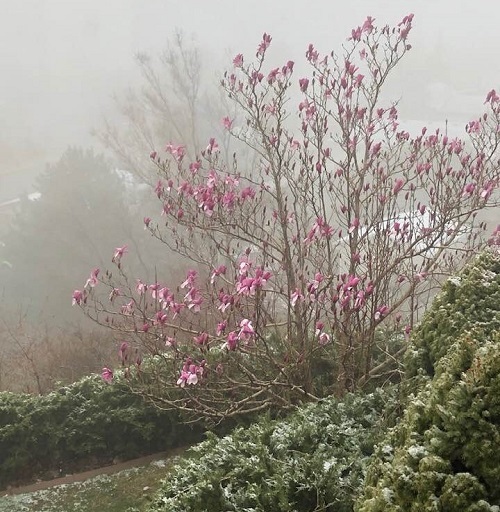 Poor Magnolia tree..., it waited and waited to bloom until the snow left but alas the never ending winter continues and it is now blooming in snow rain fog etc. 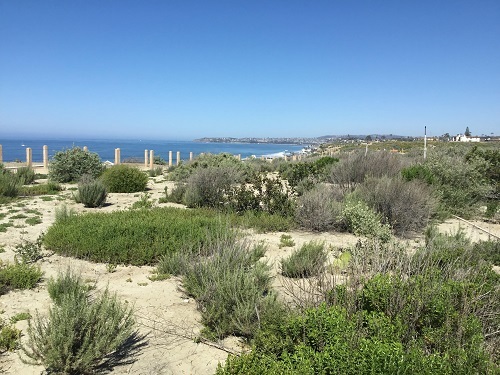 Dana Point with coastal scrub in foreground. This was a sewer drainage site, much improved, by developers. Go USA! 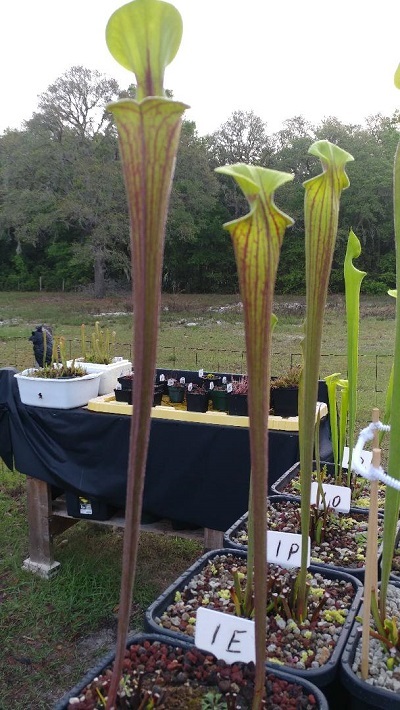 From Tony Litwin, one of his pitcher plants, S. flava rubricorpora. There's a name for you. From Le Vieux Garde a violet and a flower about the same size in white. Care to identify it? 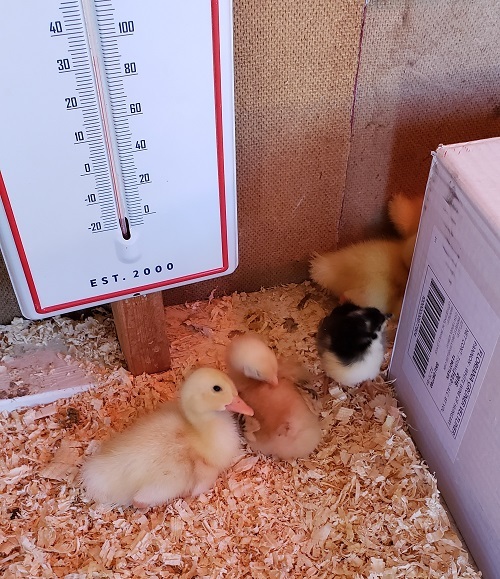 New babies-ducks, austrolorpes (layers) and meat birds. Also bought 3 turkeys. Hubby is a sucker for little fuzzy babies. I think Blake lives in Sunset Zone 9. He was looking for something to go on a hot wall. Doh't remember if he wanted a shrub, but here's a list of them. 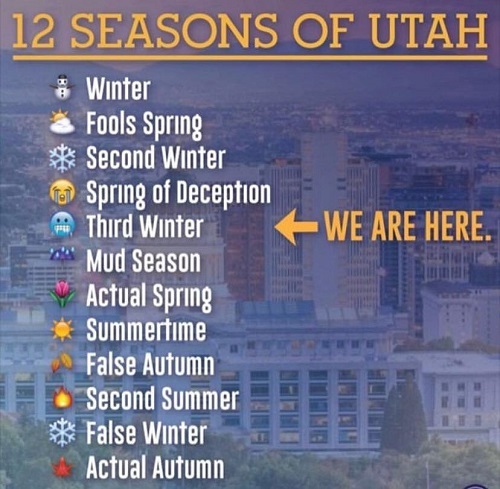 It's for Sacramento, but it also works for Bakersfield. Pick one that says "reflected heat" or "hot wall". Like Grevillea or Grewia. Remember that some Grevilleas are touchy about salt and they differ in their water requirements. Look the species up before you buy. G. rosemarinifolia doesn't take much water, takes a lot of heat. Attracts hummingbirds Like some other plants from Australia, too much phosphorus can kill some Grevilleas. 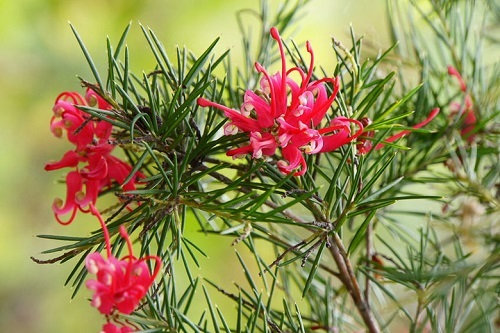 This is Rosemary Grevillea. You can tell where the scientific name came from. The foliage looks a lot like Rosemary. The flowers do not. If you want a vine or something a little less "shrubby" for those hot exposures, consider Bougainvillea, Distinctis buccinatoria, fig, tropical hibiscus (with water), Lantana or Wisteria in a tub. Any other suggestions for Blake? 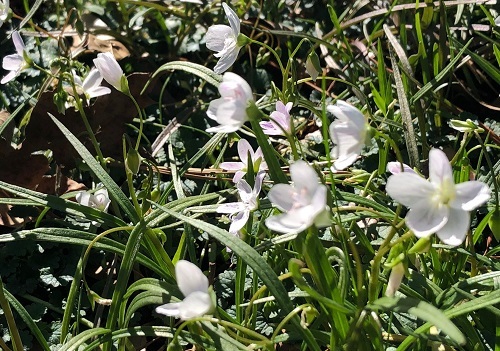 Last week, 40 miles north noted by email a good spot for the Vinca major pictured: in dry shade under trees. Vinca major (and the somewhat less invasive Vinca minor) need some shade in hot climates. 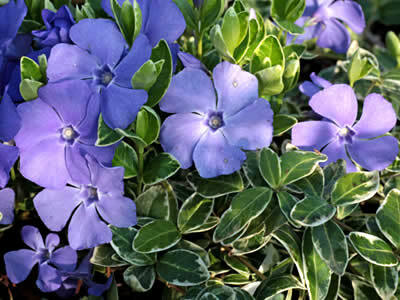 This is Vinca minor 'Ralph Shugert', which has leaves edged in white and re-blooms in autumn. You can mow Vinca in winter before spring growth starts if it starts to get woody or if it starts to mound up. We have a few nice photos for next week. You'll like them.